Apparently, I am going through a do-it-yourself phase. Or is it a make-it-yourself phase? I caught the make-it-yourself (I am going with MIY) bug when I made the Just Like Nature Valley Oats ‘n Honey Bars two weeks ago that pretty much just blew everyone’s minds. They were better than store-bought. Like times ten. Then on Friday I kind of went over board and made homemade Blizzards! 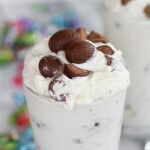 Yeah, just like Dairy Queen’s Reese’s Peanut Butter Cup Blizzards. There are no words for those. Just make them and savor every down right awesome bite. Oh, geez and I almost forgot about the Homemade Peanut Butter Oreos I made a while back. Almost being the key word there. These are unforgettable. I mean hello they are Oreos with peanut butter, and they are homemade! The store-bought ones don’t have anything on these! 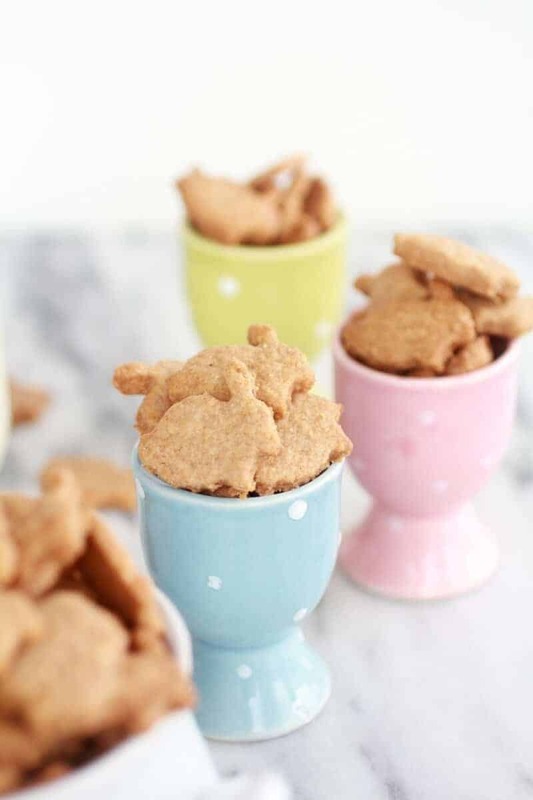 Which brings me to these homemade Honey Bunnies, or you might know them better as Teddy Graham’s. I purposely ran out this week just so I would have an excuse to try to make them myself. And oh my gosh they are so easy, fun, healthy and addicting! The honey and cinnamon in these are just so good. I swear I think I am addicted to using honey. Just using only a little honey adds so much flavor and sweetness. 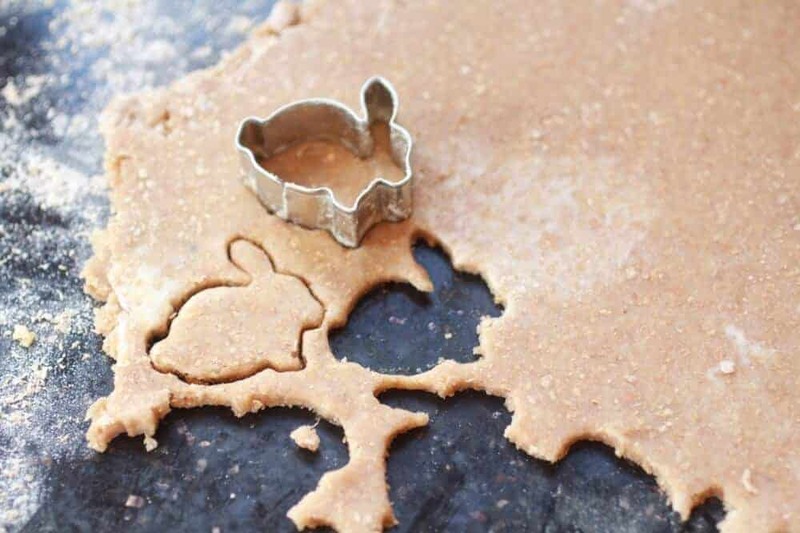 Ok now, to cut the bunnies, I used this bunny cookie cutter and it worked perfectly, but you can really make these into any shape you want. 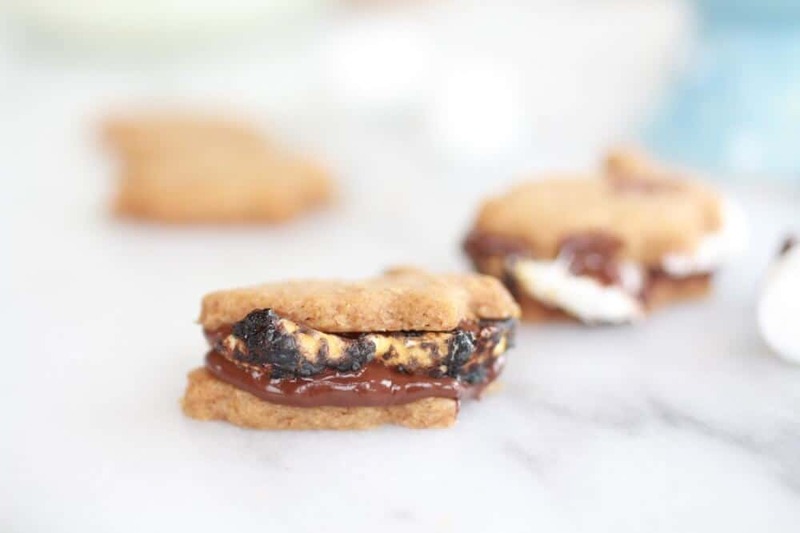 Square’s would obviously give you a normal graham cracker, but you can use what ever you have. Asher’s favorite way to eat these is with four chocolate chips (two on the top, two on the bottom) and two mini roasted marshmallows. These are unforgettable. I mean hello they are Oreos with peanut butter, and they are homemade! The store-bought ones don't have anything on these! In the bowl of a stand mixer add the whole wheat flour, flour, wheat germ, brown sugar, cinnamon, baking powder, baking soda and salt. Mix to combine. Add the chunks of cold butter and the honey. Beat until mixture resembles small peas. Add 1 tablespoon of cold water at a time until the dough just barely holds together. Divide the dough in half and shape into 2 flat disks, wrap in plastic wrap and refrigerate for 10 minutes. Line two cookie sheets with parchment paper or a silpat. Preheat the oven to 350 degrees. Place the dough onto a lightly floured surface. Roll out the dough into a rectangle, about 1/8-inch thick. 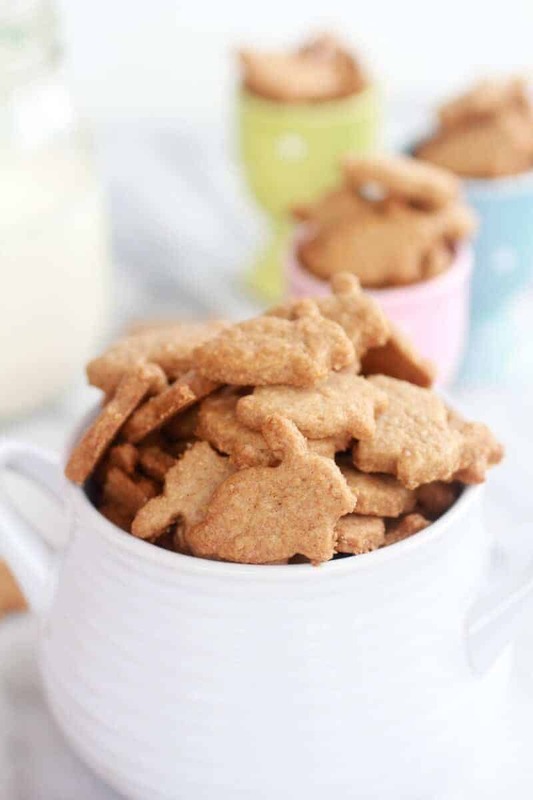 Using a small bunny shaped cookie cutter (any small animal cookie cutter works great) Place the shapes onto prepared baking sheets and bake for 8-10 minutes, or until lightly golden around the edges but not dark brown. Obviously, that was going to happen. 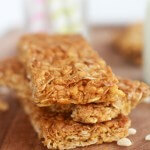 Just Like Nature Valley’s Oats ‘n Honeys Bars…..Actually they’re Better. These are so dainty. Never seen a cutter so small. I need to try these for my great grandbaby. I love that bunny cutter. I have one, too. I have had it ever since I was about 5. It and a couple of others were part of my Christmas stocking loot that year. I had been pestering my parents to get some ‘me’ size cookie cutters so I could make cookies for ‘me’. Thats a long time to have a cookie cutter and not lose it! That is awesome! I love this story, thanks for sharing! LOVE this recipe, keeping it to use over and over! Thank you I am now in love with making these! What is wheat germ? 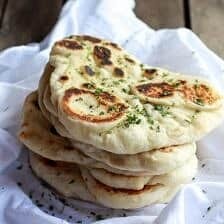 Can I just use more wheat flour? Yeah I think using whole wheat flour would work fine! Wheat germ is part of the wheatberry I believe. They’re so cute! I made graham crackers last week and if I had a cute little cut-out, I wanted to do something like this! Adorable! Thank so much Averie! I loved you recipe! 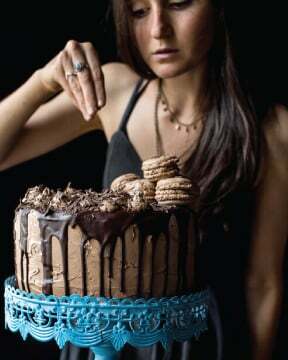 the cinnamon sugar on top of yours is to die for! Fun! I can’t wait to try these, I’m sure they taste much better than teddy grahams! Thanks Jessica!! Hope you like them! 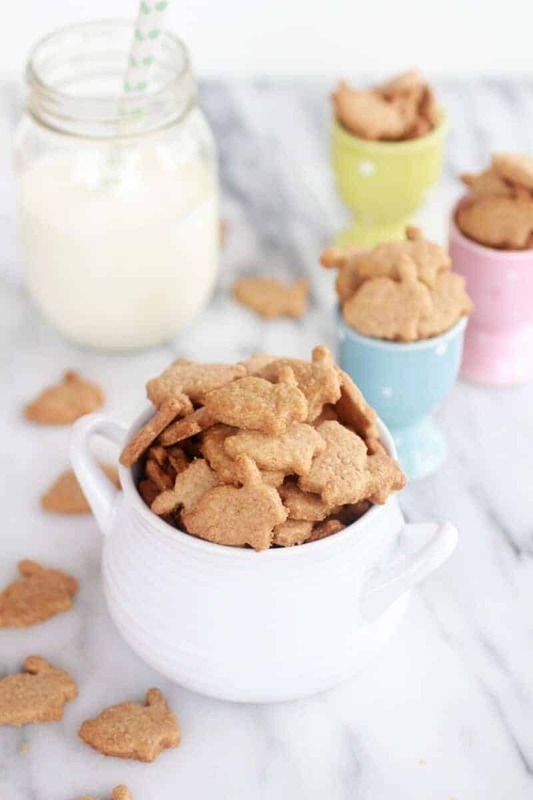 These honey grahams look fantastic! And how fun are those bunny shapes! Adorable! I know I love those bunny cookie cutters! Thank you! I love these cute little bunnies! 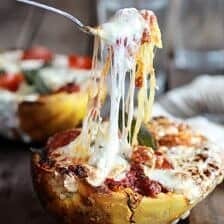 Thanks for linking thing recipe up 🙂 Beautiful photos! These are beautiful! They look so good. I’ve never made graham crackers, but have been thinking I should. I’ve been buying them by the case. How much more fun to have the kids help make them! My little sister had a blast helping me make these!! I hope you guys like them! 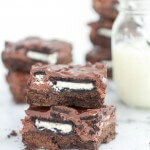 Those look so yummy and so much better homemade! 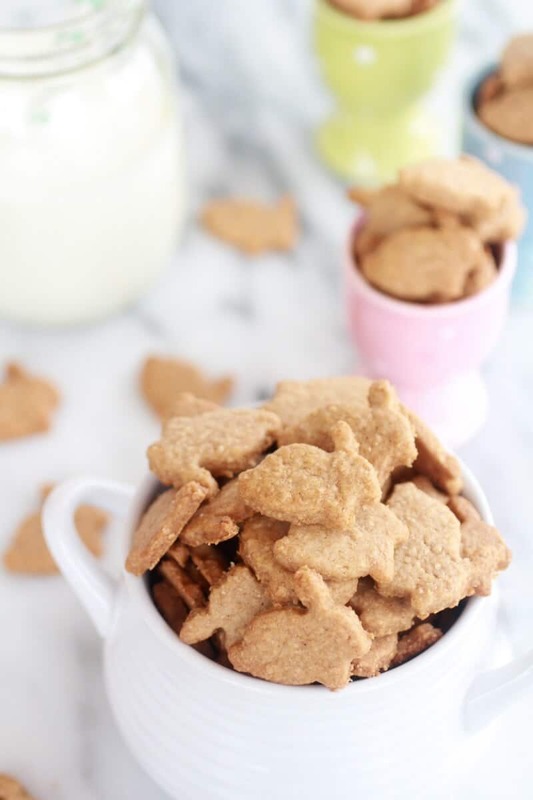 Homemade graham crackers have to be the best idea ever. I cannot wait to try them! 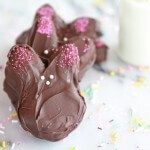 I’d like to invite you to link up to my party, Manic Monday – http://cupcake-n-bake.blogspot.com/2013/03/manic-monday-10.html. Thanks for the invite and let me know if you give these a try! Those are too cute and I totally approve of the gooey sandwich! Thanks for sharing at Time To Sparkle! Thank you! Both the crackers and smores were big hits around here! These are SO adorable! And yummy too, I bet! Thanks so much for partying with us at Time to Sparkle! Pinning and sharing these on Facebook! Thanks so much for pinning and sharing on Facebook! Love your blog, love your other recipes, and love your writing style. 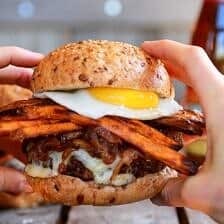 Thanks for posting an adorable recipe! I’ll have to try this soon. Thank you so much!! You words me so much! Your recipe does not say at what temperature to bake them at. I had already mixed up the dough before I realized it. I baked them at 350 for about 10 minutes and it seemed to work. They taste wonderful and I know my grandsons will love them when they arrive tomorrow. I had to use a tiny moon cutter as it was the only small one I had. I will be ordering the bunny like you have, it is so cute. Thanks for the recipe. I found you through Finding Joy in My Kitchen. 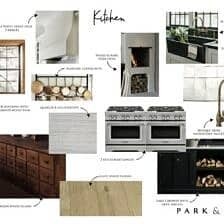 I have already made plans to try more of your recipes!! I am so sorry! You were right on with the 350 though!! I am so glad you liked these and thank you so much for reading! 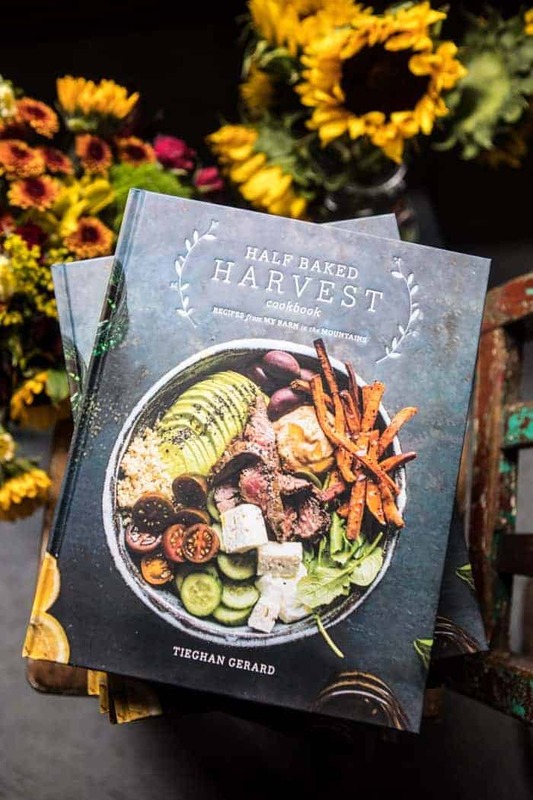 I am so excited you already have plans to try more recipes! That makes my day! Thanks so much for joining me at Two-Cup Tuesday at Pint Sized Baker. I hope to see ya again tomorrow night. These look great! 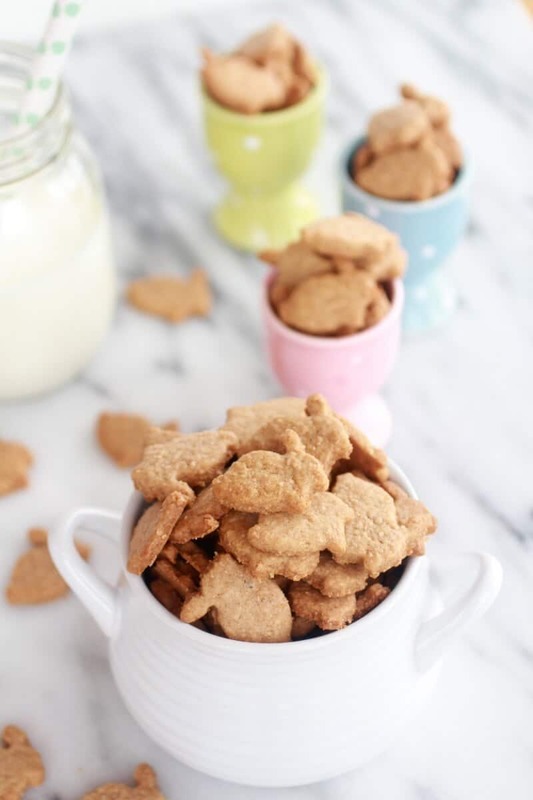 I have some mini cookie cutters that would be perfect for this.Might just have to try these out. Thank you and let me know if you do!